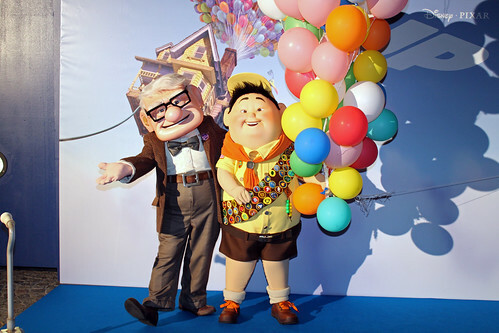 Today is the 3rd anniversary of the world premiere of Disney/PIXAR's feature, UP! 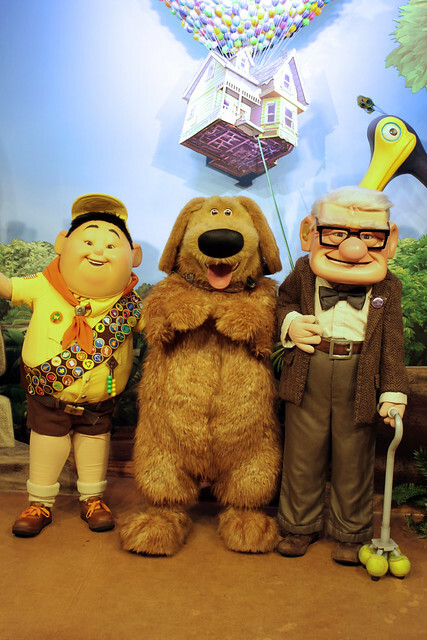 So, in true Character Central style, let's celebrate with a photo filled tribute of the characters - Carl, Russell and Dug - at the parks! 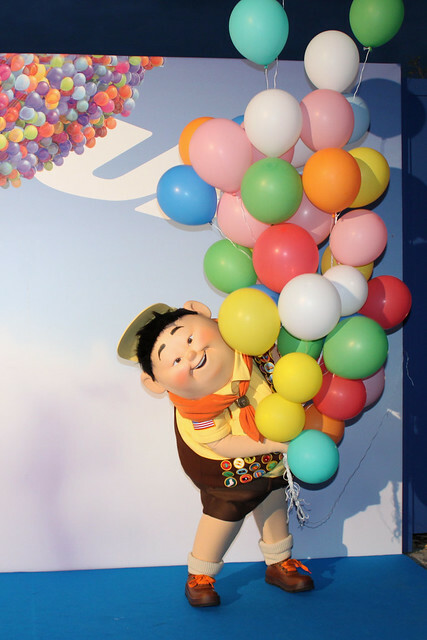 Happy Birthday Carl, Russell and Dug! I know we haven't had any proper updates in a while, but it's all been a bit crazy here since getting back from the Cruise and WDW. And of course at the end of next week we'll be in DLP for the 20th for a week... so as you can imagine we have a lot to do, and can't always keep things as up to date as we'd like. That all said, we do have a few updates to share with you this evening. Disneyland Paris has of course been having "soft opening" showings of it's new version of the Parade (Disney Magic On Parade) and the once again revamped character train, now the 20th Anniversary Celebration Train. The Parade has seen some cool changes. The soundtrack is of course different, but here a list of other changes we have noticed so far. Wendy, Pluto, Belle, Prince Adam, Aladdin and Jasmine have all been dropped. In their place we have gained the Blue Fairy, Merlin, the Fairy Godmother, Flora, Fauna, Merryweather, Geppetto, Rapunzel, Flynn Rider and Duffy. Tinker Bell is also due to soon re-join the parade, having been absent the last 2 days. I don't think losing 6 characters for 11 new ones was a bad trade overall! Do you? Peter Pan has lost his parade-specific outfit. The Dreams of Imagination and Dreams of Romance 1 floats have been revamped and re-themed, and Mickey and friends have been switched form the front to the back of the parade, complete with brand new wizard costumes. There are a bunch of new performer costumes. Baloo and King Louie no longer have their grass skirts. 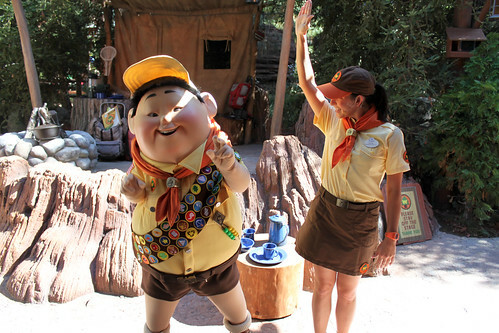 The floats have been re-ordered, and characters moved from the float to the ground (such as Jessie and Bert). There are undoubtedly more than that, but I felt those were the more noteworthy ones for now. The Celebration Train has now lost it's face, sadly. Which kind of takes away form it's overall appeal I think. He had a little personality before, now it's just a train. The characters who currently appear for meets in Central Plaza when the train stops are Minnie, Donald, Daisy, Pluto, Goofy, Clarice, Chip and Dale. No Mickey yet, but we have heard he may appear in the future. You can check out a video of the new parade here, and the new character train here. Staying with Paris, and work continues on the new Mickey meet 'n' greet in Fantasyland, but while that is being completed, they have temporarily converted the Woody's Roundup area into a "Meet Mickey" experience, which features Mickey and Minnie in their regular outfits. It is an interesting move, seeing as Minnie will be on the train all year (not saying she can't meet here also), and Mickey will be moving soon to Fantasyland... makes me wonder why go to all that trouble just for the time being? Finally, jumping over to Florida, and Flik sadly went back to the ant hill this week, and has been replaced by Russell and Dug form UP. 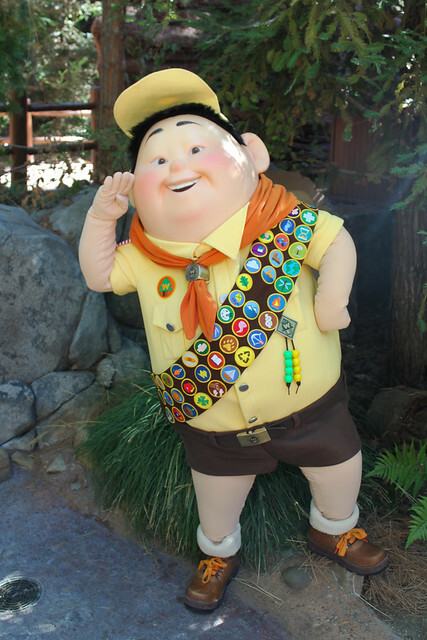 I think that this was quite a nice change, and look forward to seeing them next time we'rein DAK! Ok, that's all for now. Don't forget to catch up on my latest part of my Cruise Trip Report - there shall be another one coming in the next day or two, so stay tuned! It has been really quiet o nthe Disney Character news as late, but I have been searching around and have a few small items to share today. The Disney Parks Blog announced the dates for Star Wars Weekends next year. These events are always ridiculously popular, and are filled with some excellent Star Wars characters, as well as Disney Characters in Star Wars outfits. 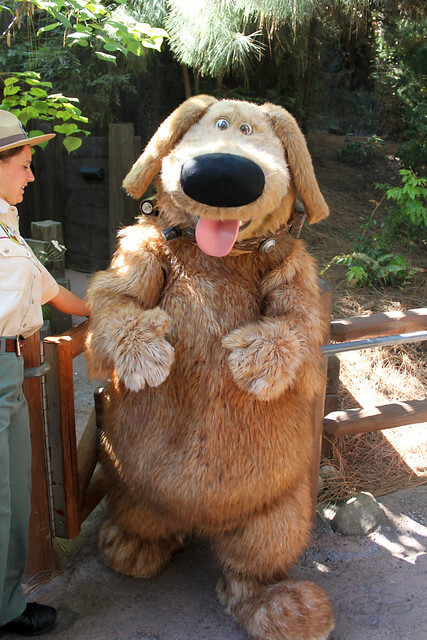 Dug and Russell are now meeting in Disney's Animal Kingdom, near the Flame Tree BBQ. I have also heard a rumour - and this really is jus tthat right now - that Dumbo may appear maybe in Aniaml Kingdom (although could be elsewhere) for the early part of next year while his ride relocates across the Magic Kingdom. This is certainly a viable rumour since they did the same thing back in 2005. Lastly for WDW, the Pooh characters are now meeting in Town Square, and not Fantasyland. Over in California, Loren has been keeping us up to date with all the happenings there. Be sure to check out last week's and this week's posts. The Disney Parks Blog also announced a brand new show coming to the Disney Fantasy, called Wishes. It looks pretty neat, so we look forward to hearing more about that one as it develops. 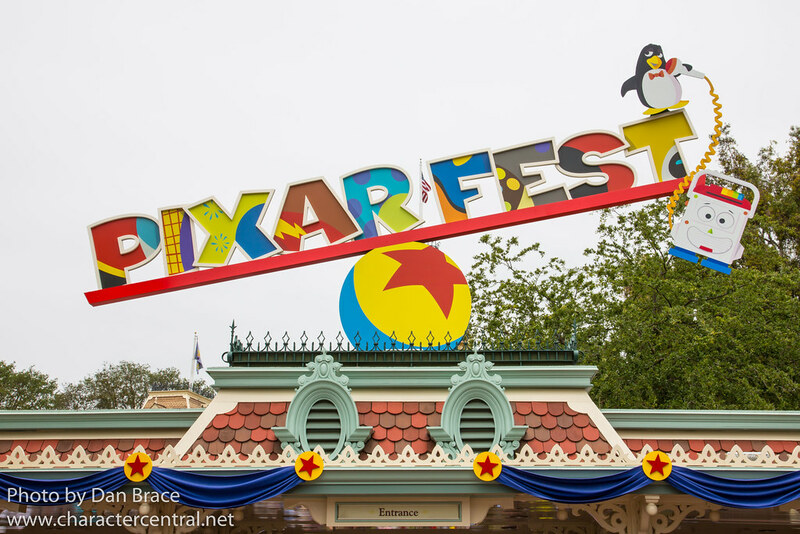 Finally, don't forget to check out Part Five of my Grand Circle Tour of Disneyland Paris, which was about Frontierland. Of course, it features some of our favourite friends along the way! Jon and I are off to Disneyland Paris this weekend again, to check out the Christmas Season, and will be back at our desks Monday. Just some updates regarding news I already brought you earlier in the week. Finally, I also saw from a friend that he heard Gaston may appear in the New Fanatasyland once it opens with the new Beauty and the Beast area. Gaston appears for meets fairly often in DLP, but has not been seen anywhere else in many, many years. I think that's all for now. I'm sure I'll remember something later and wish I had posted it! It has been a while since I updated properly here, but as you all know we have been away on a mega trip to DLP and DL CA! As I stated earlier in the week, we have been working hard to get as much new content from the trip up as possible, but it takes time. Sorry it has taken a while to get back into things this week from our trip to NYC and WDW, hence why I haven't posted anything new until now.